From time to time, we want a treat that will hit the spot without wrecking our lifestyle. 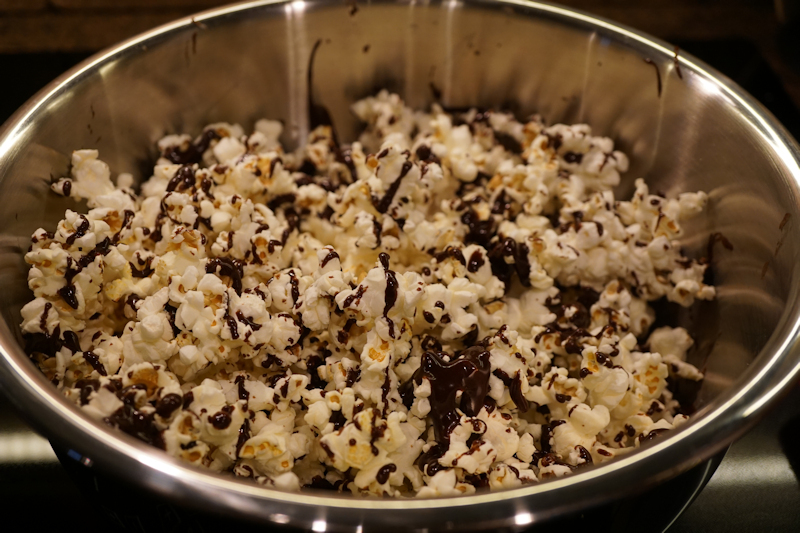 So, I've been wracking my brain to figure out how to make an oil-free drizzle for air-popped popcorn. Here's what I came up with! In a small saucepan over low heat, combine the cocoa powder, peanut butter, and maple syrup. Stir together well. Slowly add non-dairy milk 1-2 teaspoons at a time, stirring as you go. When the mixture is able to "drizzle," shut off the heat. 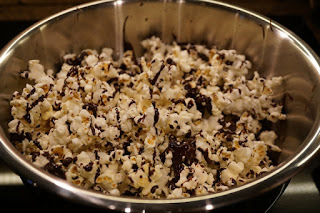 Pour popcorn into a bowl in layers, adding chocolate-peanut butter drizzle over popcorn and a small sprinkling of salt. Continue adding layers of popcorn and drizzling. Serve immediately.